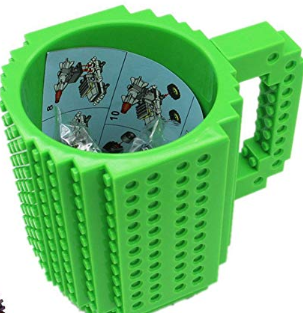 This product is two popular things rolled into on; a coffee mug and LEGO. It doesn’t matter if you are young or old you can’t deny that you love building things. The only thing that would make this product even more perfect was if you, or the person you are gifting the SH Build-On DIY Coffee Mug, were an architect! It’s made using a BPA free-food grade plastic, which makes it perfect for the kids. Just remember to wash it by hand, the mug really can’t take the heat; ironic, I know. But keep it out of the dishwasher or the microwave. Now, all you need to do is sit back and relax, changing the design on the CONVEX surface of the mug as you wait for your beverage to cool. These Cat LEGO Sculptures Are Pretty Much Purrfect!